The coolest hybrids are produced in China, Taiwan and Thailand, and maybe India. 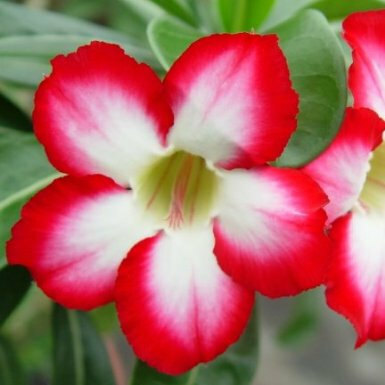 Enjoy our personal desert rose collection. The plant will produces LARGE 6cm flowers. plant 5-7 inches tall that is well-rooted in a 4 inch pot similar to the one in the third photo. will ship without soil and pot. The diameter of this plant caudexes is about 4-6cm (sometimes it has multiple branches) .and should be planted soon upon arrival . Picture is for example only. Plant that we are sending is 5-7 inches and ships in a 4 inch pot.